The heart of a volunteer is not measured in size, but by the depth of the commitment to make a difference in the lives of others. Every volunteer is an integral part of the V Foundation Wine Celebration team, and we express our deepest appreciation for your time, energy, and devoted support in the Victory Over Cancer. 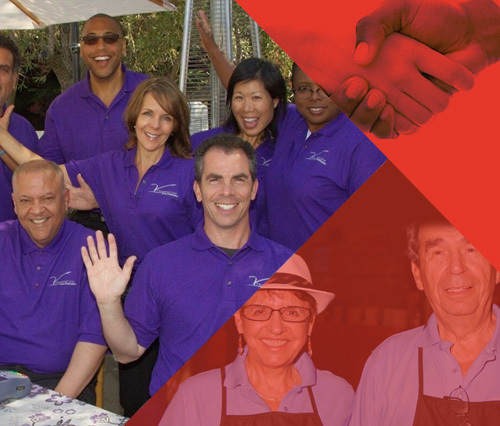 We invite you to consider volunteering as a group for the V Foundation Wine Celebration! There are a variety of volunteer opportunities to suit your group’s mission and member schedules. Volunteering is a great way to increase awareness about your group, build camaraderie and give back to our community, while accomplishing rewarding community service for an impactful organization.